Colder temperatures during winter require a lot out of your heating system. When warm air is being supplied to the home, it leaves the air feeling dry. Dry air causes many problems throughout the home such as, cracked hardwood, the spread of the cold and flu germs, dry itchy skin and throat, electric shocks, and damage to molding and walls. 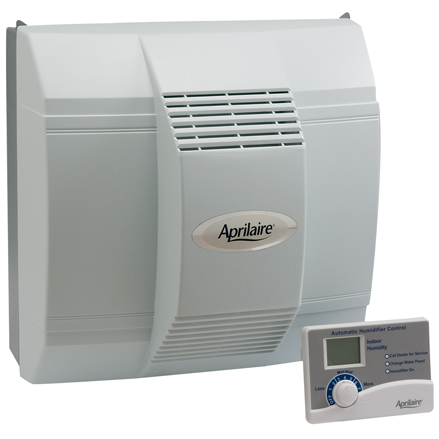 By installing a humidifier in your home you can eliminate the damage and inconvenience of dry air. 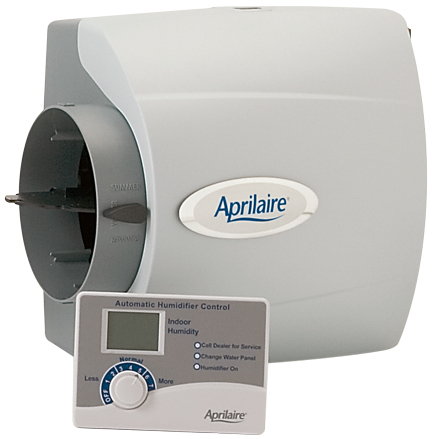 Whole-home humidifiers are installed as part of the home’s heating system. It deposits humidity into the home when the heater is producing warm air. This model is the same as above, however it operates solely at the homeowner’s discretion by the use of a dial that is attached to the unit. This offers a slightly cheaper option than one above model. This model might be needed in certain HVAC set-ups. Humidifiers may not be able to be installed on every HVAC system in your home. Contact our office for pricing information and product placement availability based on your home’s HVAC design. Other models available per request.